One of the real problems with today’s cell phones is, surprisingly they’re not as good at taking voice calls as older phones. 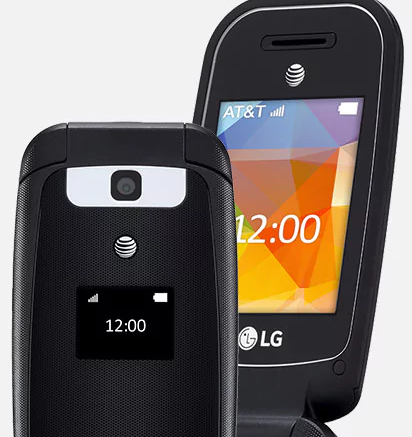 In fact, this AT&T flip phone performs as well or better than any $1,000 phone and you can find it for under $50. Sure, it doesn’t do any of the neat things that a more expensive phone does and your kids will probably laugh at you for using it. But if you’re trying to make a call, it’s probably going to outperform any slick little smartphone on the market. There’s a simple fact about cellular service: a bigger antenna is better. That’s true of any antenna, actually, although there are a couple of physics-related things that come into play there. But no question, old phones with bigger antennas performed better. Remember that antenna you used to pull out with your teeth on the phone you had in 1996? It was probably four times the size of the antenna on your smartphone today. Everyone likes a slim, tiny phone and no one liked those pull-out antennas, but they worked. Today’s smartphones have to pull in cellular on up to five different frequencies, plus Wi-Fi, Bluetooth, and differing forms of “near-field communications.” They also have wireless charging ports, powerful processors and signal generators, and of course big screens. Your old school phone has one radio for one frequency, and a small screen. There’s plenty of room for antenna there, and very little chance of any built-in RF interference. No wonder call quality isn’t as good as you want it to be. Of course, phones today have things like Voice over LTE and Wi-Fi Calling to try to improve quality and let’s not forget that they also do things that old dumbphones don’t. So when all is said and done, the voice service you get on a smartphone may be a little better here and there, but for overall reliability, a dumbphone is all you need. Of course there’s a great way to make sure that you don’t drop calls, just use a cellular signal booster. Let’s not forget that cell phones are basically designed for outdoor service, and you probably use yours indoors 90% of the time. Putting in a quality signal booster in your home and office will improve call quality for you and everyone around you, and they don’t cost as much as you think. Take a look at the selection of FCC-approved, high-quality signal boosters available at Solid Signal. Our team of experts can recommend the best solution for you whether it’s 500 square feet or 50,000, and we also have the biggest selection from all the major brands so you can find the one you need and order it directly. Why wait? Shop today!